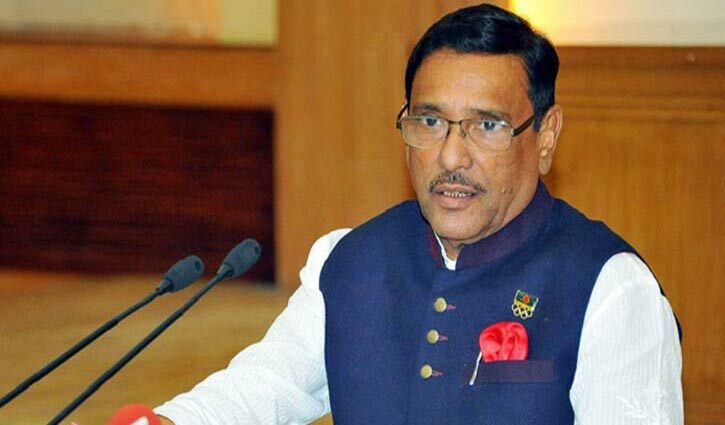 Senior Correspondent: Awami League General Secretary and Road Transport and Bridges Minister Obaidul Quader said that the Dhaka City Corporation by-election was much better than the Dhaka City polls in 2001. Obaidul Quader made the assertion while addressing a press conference at Awami League's party office in Dhanmondi of Dhaka on Friday. “Politics is like a tide. We are here now, we may not stay here in future,” he said. “It is not a democratic way to stay aside from election,” Quader said adding that grassroots leaders of BNP are seen taking part in the local body election and being expelled by the higher authority of the party. Dr Abdus Sobhan Golap, Office-Secretary and central executibe committee member SM Kamal Hossain attended the press conference.